Wimbledon ended up being the last Junior tournament that I played and my dad and I took the plunge into the professional circuit. We kept our summer base in the Czech Republic and made our Florida winter base more serious with the purchase of an apartment (using the funds from selling the house in Vernon) 2 mins from the IMG Academy in Bradenton. From here on in, we made Bradenton and the IMG Academy our permanent winter training base. The pro circuit was, of course, very different from the Juniors. It was intimidating for me to play against men and it didn't help that I was not even close to being physically developed yet. 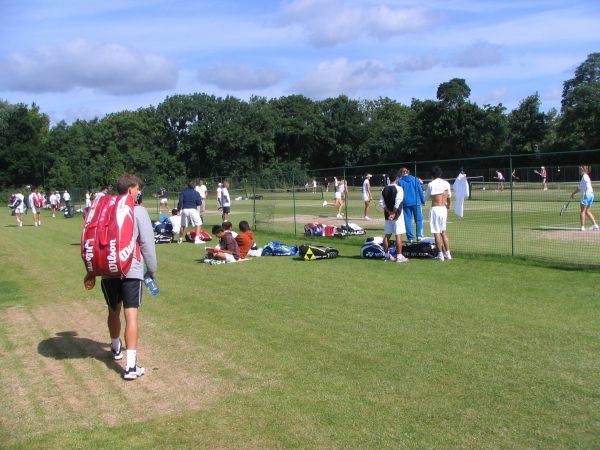 We drove from one Futures event (the first stages of professional tennis where points are just as hard to come by as money) to another chasing ATP points during most of the latter parts of 2008 (still my last year of juniors but only playing pro tournaments for the second half of the year). By the end of the year I had only earned 7 points, 5 of those coming from Canadian futures. As a bonus, in one of the last tournaments of the year I teamed up with Milos Raonic and, technically still as juniors, we won an ATP Challenger in doubles. I ended the year ranked 1085 in singles and an encouraging 367 in doubles. The beginning of a new year, that was 2009, had abruptly ended my years as a Junior and launched my first official year as a pro. The first months remained difficult but I soon started to pick up points more frequently. Slowly but surely, I started maturing both physically and mentally, and starting growing into my tall, lanky body. By May, I made 3 semifinals of Futures events and then, in July, made my very first final in the United States. From there we went to Europe to play on Clay which, being my least favourite surface, didn't produce significant results. In August, During the last clay court tournament of the year, I played a Quarterfinal of a Future event on Clay in Romania, lost a match I shouldn't have to a so called "grinder", and totally lost it. I completely shattered the first racquet of my life on the court right after I lost the last point. I couldn't help but have a sense of pride because, with one "smash", I broke the racquet in 4 different spots which, to me, was pretty damn awesome. My dad, understandably, didn't think it was as awesome as I did and definitely let me know it. After a dramatic evening, consisting of losing my mind for an hour or so after the match, we mutually decided to pull out of the next clay court tournament, spend two weeks training in Prostejov on hard courts, and go to italy for 3 hard court tournaments. This ended up being the best scheduling decision we made that year. With a few days off and a fresh mind fully excited to be off the Clay, we started training for the tournaments in Italy. I hit TONS of balls during that two week period and we soon found our way on the road again heading south. The first week went well and I made the semis (and won doubles). The second week was on the island of Sardinia. I won my first round and was down a set and a break in the second when, luckily for me, it started pouring rain. We resumed the next day and I came back to win that match and, before I knew it, found myself in the finals. After a three hour battle I was holding "The" trophy and my first pro title. This took a huge monkey off my shoulder and I went on to win the next tournament without losing a set. From there we flew back to Canada, trained for 2 weeks and went to play 3 futures in Mexico where, again, I found myself holding the trophy. I took the first two titles again without dropping a set in either one and made it 4 future titles in a row. Unable to sustain a fresh mind, I then lost in the semis which snapped my 23 match winning streak. With this string of tournaments, and my previous semifinal and final showings, I had risen from 1000 in the world to 340 in 6 months, and ended the year with that ranking (and 230 in doubles). Many of these Futures we played, especially in places like Mexico, weren't always a pretty sight. They were definitely not what someone would expect a professional tennis event to look like. Often times the food was bad, facilities were below standard, and hotels (motels) were in dangerous or poor areas. We often took buses from tournament to tournament in Mexico and, one time, even took a bus from El Savador to Nicaragua through what was, and probably still, a dangerous Honduras. These were just routines travels for us, and, honestly, being used to that kind of thing, it was not a big deal to us at all. This new ranking position I had attained by traveling and playing these Futures events meant it was time to try playing more Challengers. This was still relatively unfamiliar and uncomfortable territory for me. I suddenly started playing against higher ranked players which made things difficult at the beginning. I was not able to break through and was not winning matches at the Challenger level. I still had a lot of maturing to do and experience to gain. 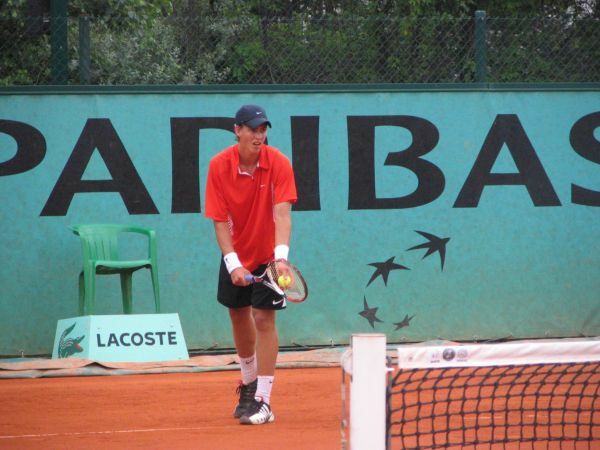 When the end of 2010 came along, I defended my Futures points from the previous year by playing and winning futures around the same time and then, finally, when I needed it most, I got some wins on the Challenger tour and went up to a Career high ranking of 270. As the year was ending, we became aware that a Canadian ex-player, Frederic Niemeyer, was available for coaching. With the possibility of working with Niemeyer, my dad and I became enthused by the thought of having an experience ex-player as a coach. There was no doubt that both my father and I, even as far as we made it as a team, were still a bit inexperienced for the higher levels of the professional circuit. My father knew that the time would come to put me in the hands of a coach who had played at a high level on the tour and, with Niemeyer's opening, the timing seemed perfect. Finally, in my dads mind, there was an opportunity to work with a coach that Tennis Canada offered, of whom he approved. There was no doubt that there were some years of hesitation to start working with another coach but we were both quite confident about Niemeyer's coaching abilities and felt it was a good time for a change.